Holiday Baking! and that sticky bun recipe! Before I post the sticky bun recipe, I felt like I had to post something fabric-related being a fabri-holic and all. 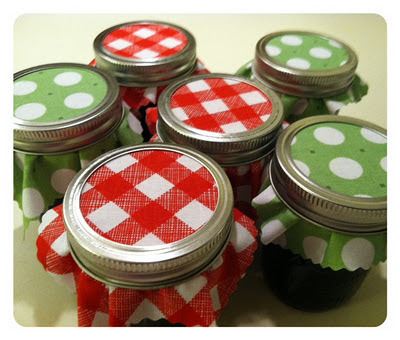 So here you have it…my summer jam recipe now made into perfect Christmas gifts thanks to some cute holiday-themed fabric and good canning my husband and I did last summer. 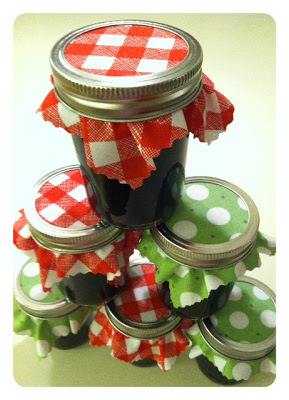 🙂 This is blackberry jam; you can find the recipe HERE if you’re interested. 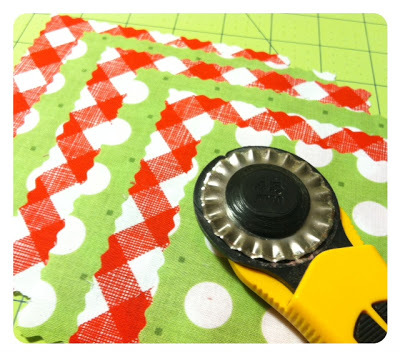 I used fabric from the Sew Cherry collection, and cut 5 inch squares using a pinking blade on my rotary cutter to get the cute wavy sides. Step 1 – Preheat oven to 375 degrees. Spray a fluted pan with non-stick spray. Combine the melted butter and syrup in a small bowl and set aside. 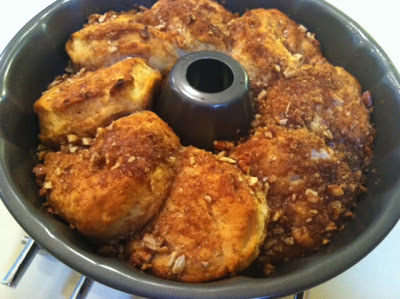 In another bowl, combine the brown sugar, cinnamon and nuts. 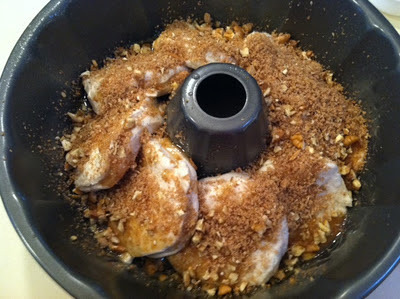 Step 2 – Place about half of the syrup mixture in the bottom of the pan. 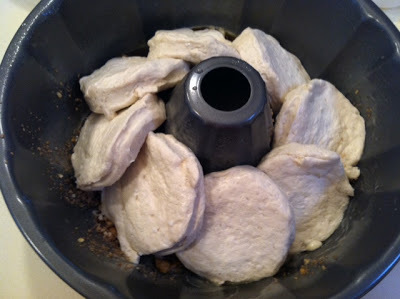 Then sprinkle half of the brown sugar mixture on top. Step 3 – As shown below, lay all eight biscuits on the bottom of the pan to form a ring. The edges of the biscuits should be overlapping. 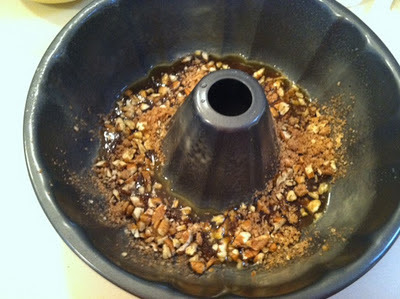 Step 4 – Top with remaining syrup and sugar mixtures. And the buns just pull right off and melt in your mouth. One Response to Holiday Baking! 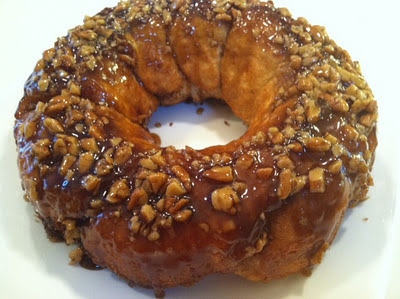 and that sticky bun recipe!